One of the reasons we love the St Tropez brand for a spray tan Brighton is that they never stop exciting us with new products! Their latest gem is the Brazilian inspired dry oil – St Tropez Self Tan Luxe Dry Oil. St Tropez have described this amazing new product as the most innovative self-tanning solution yet, a luxurious beauty hero that delivers a long lasting, streak free and entirely natural looking tan. As beauty therapists, our aim is to always provide the same to our clients – a natural looking tan that leaves the skin glowing and supple. 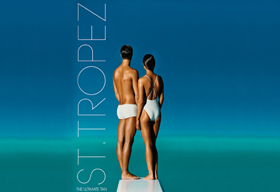 Like all St Tropez products, the St Tropez Self Tan Luxe Dry Oil uses a 100% natural tanning agent. This tan is perfect if you are about to bare your body on the beach. We love it! Every Tuesday we are offering clients a chance to come in and experience a St Tropez spray tan Brighton – normally priced at £30, on Tanning Tuesdays its only £15! The St Tropez Self Tan Luxe Dry Oil, 100ml is available online now! Lanes Health & Beauty Offers change monthly – Please check our Special Offers page for all amazing current offers.